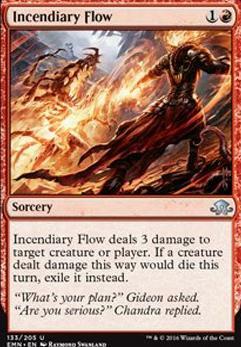 Incendiary Flow deals 3 damage to target creature or player. If a creature deals 3 dealt damage this way would die this turn, exile it instead. 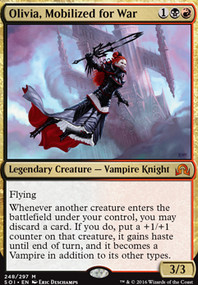 Hi, as a fellow Rakdos Burn Player I'd like to offer a couple of suggestions to improve the deck, while still staying low on budget. I would cut most of the Three-Drops to improve the overall speed of the deck, killing the opponent quickly is the main advantage and appeal of playing any Burn List.I would especially lower the number of expensive creatures, the Guttersnipes in particular, but I think the Elementals and the Shredfreaks could be replaced as well. Suitable replacements include Bloodsoaked Champion, Vicious Conquistador, Firedrinker Satyr, Zurgo Bellstriker, Soul-Scar Mage, Harsh Mentor and maybe Spike Jester. I personally also feel that a Dark Confidant-like card benefits the Strategy and is one of the main draws to include Black in Burn. There are a variety of creatures that provide a similar effect and are very budget-friendly: Blood Scrivener, Asylum Visitor, Pain Seer, Ruin Raider. However, I had the most success with Glint-Sleeve Siphoner, which has menace to boot, supported by Gonti's Machinationss and Aether Hubs. Removing these creatures will be a high priority for your opponents, making Claim to Fame very powerful, bringing back your card advantage-tools. I would also relegate the Terminates to the Sideboard and instead play Searing Blood in the Main, especially since you are running a playset of Graven Cairns. 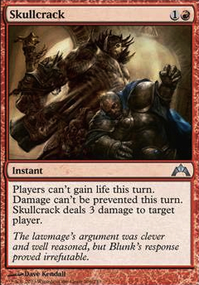 On a similar note, Sign in Blood could also be considered, since it does not only provide further provide card draw, but can be aimed at the opponent to deal 2 damage to the opponent in a pinch. In terms of spells, I would definitely improve the number of Lightning Bolt-Effects. Shard Volley, Collateral Damage and Burst Lightning are fine options. 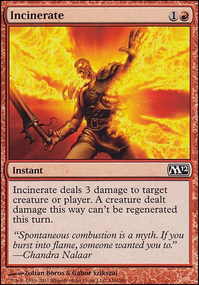 And since you are willing to also play Sovereign's Bite, you might want to look into Two-Drop Burn Spells as well: Lightning Strike, Searing Spear, Incinerate, Incendiary Flow are all serviceable Burn. I would not cut the Bump in the Night for Sovereign's Bite, though. One Mana Burn is so much more important than the three Life gained. Playing both should be good, though. And finally, I would drop the Lootings and Duresses from the Sideboard. You rarely have the time to spend your first turn looking at their hand, despite it being basically the only answer Rakdos has to cards like Worship or enchantments in general. I feel it is just too much of a tempo loss. And you can just make them lose life with Bump instead of dealing damage to them anyways. Instead I would propose you look into Molten Rain to fight Tron- and Utopia Sprawl-Decks and add more Rakdos Charms or Smash to Smithereens to fight artifacts. Snivy__ on "Mono" Red "Control"
I honestly am not excited for this. I've gotten far more use out of my fancy treasure and Pirate tokens than my Incendiary Flow and Reverse Engineer, or my 20 Blighted Fens that my LGS gave us because they were oversupplied. Although if the promos are Fatal Push quality, then I guess it's O.K. Is this modern? I think Firebolt is not legal in modern. I would advise to use Electrolyze as a replacement. 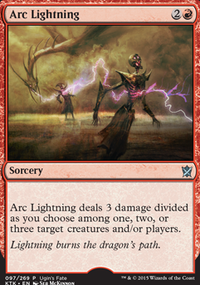 Remove Lightning Strike Replace it with either Incinerate or Incendiary Flow. Yeah, Id suggest replacing Shock as its a really low tier burn spell. You could go with Incendiary Flow but Ill link some other options that you might find interesting. You might like these too. They arent burn spells but they may be useful: Grim Lavamancer, Satyr Firedancer, Koth of the Hammer. CaptainBlue7 Thank you for your feedback! I will probably keep a couple of Abbot of Keral Keep in my sideboard. I will definitely switch out Roast for Flame Slash, such an amazing card! What do you think, should I switch out two Shock for two Incendiary Flow? I've altered the total of Chandra, the Firebrand and traded and Incendiary Flow for an Incinerate, as they do the same thing but Incinerate is cheaper. Burn from Within/ Sudden Shock/ Incendiary Flow/ Carbonize v Incinerate?